Connecting the City and Silicon Roundabout, this neighbourhood was perfectly placed but poorly perceived. 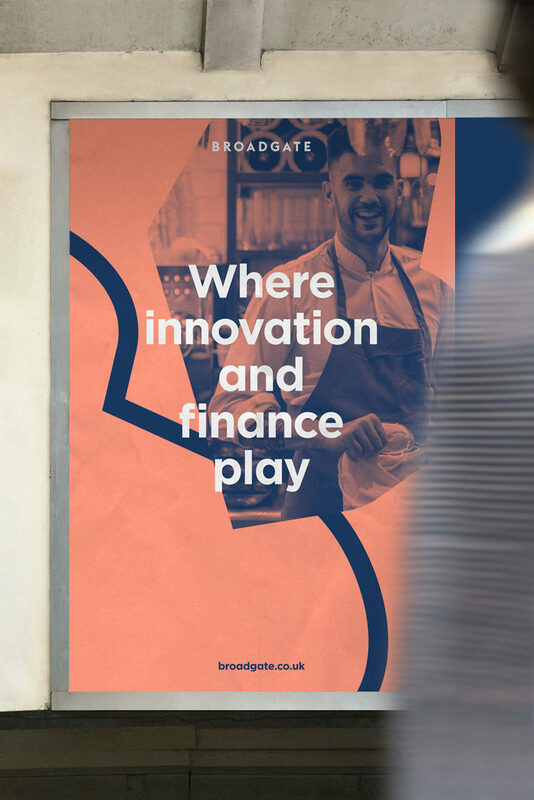 We created a brand strategy and identity to capture the excitement around Broadgate’s reinvention — asking people to imagine what could happen where innovation and finance play. 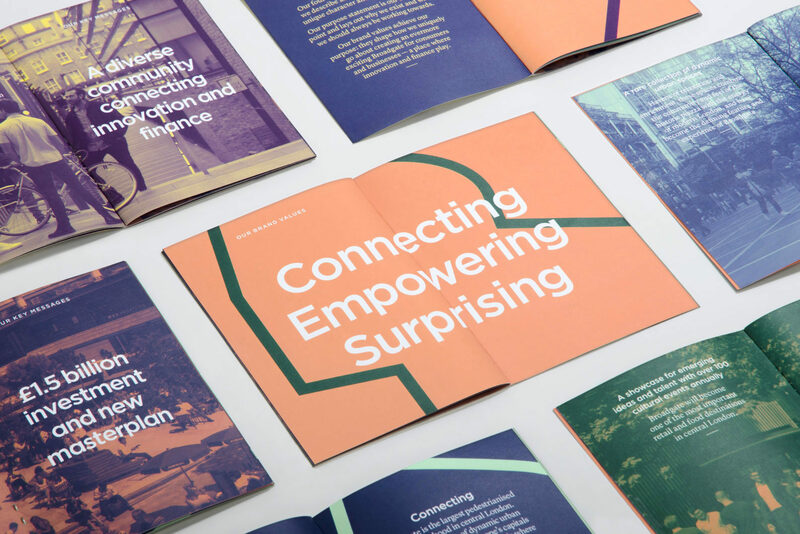 Our dynamic identity reflects Broadgate’s unique status as a wholly-pedestrianised neighbourhood — a place that energises people by connecting, empowering and surprising them. 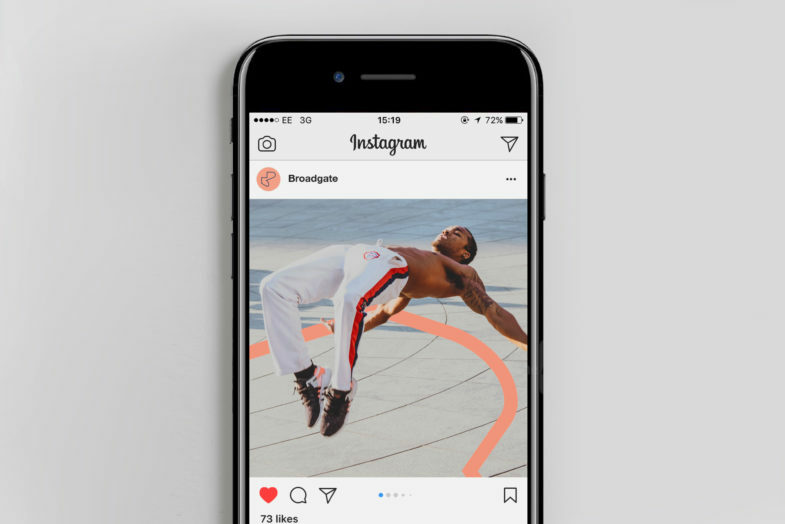 Taking inspiration from the life and forms of its public spaces, the brand is always in motion. The generative ‘kinetic B’ is endlessly expressive, changing shape and scale with a colour palette of interchangeable pairings of bright and dark tones. 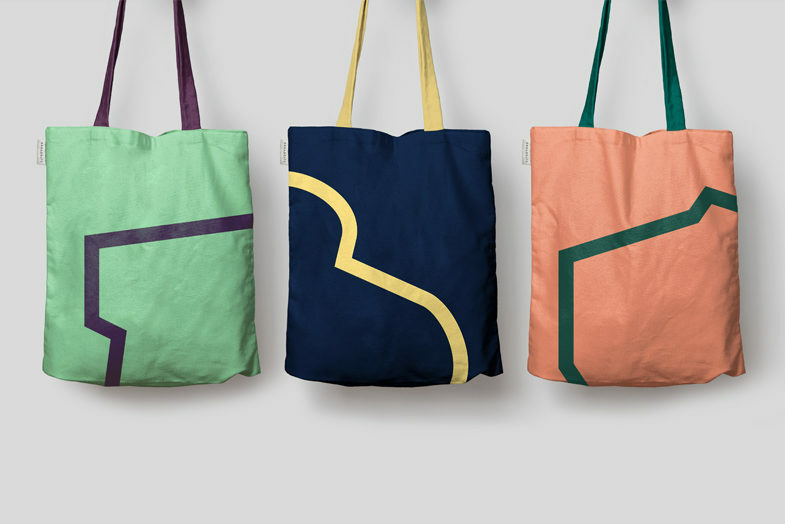 The result is a consumer-oriented, contemporary identity. 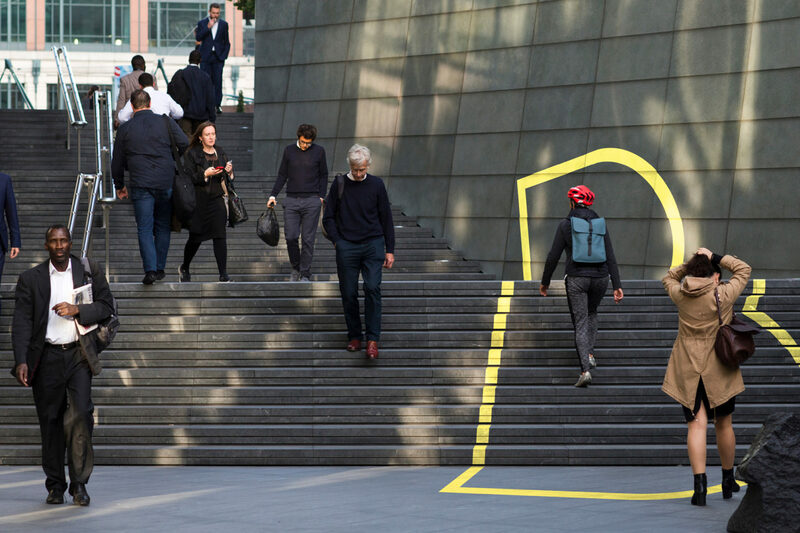 In use, the ‘kinetic B’ can be whole or cropped, filled or outlined, graphic or textural — it becomes an edge to cross, a line to follow, or a window into the moving world of Broadgate with its food, events and arts programme. We made a user-friendly tool to manipulate the ‘B’ and generate endless variations for static and animated applications. 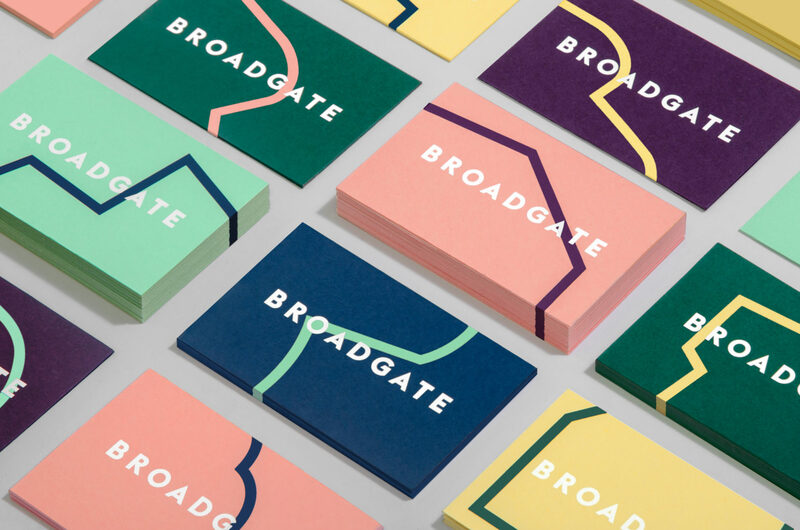 This allows the identity to adapt in expression — from posters to brochures — while staying coherently Broadgate.